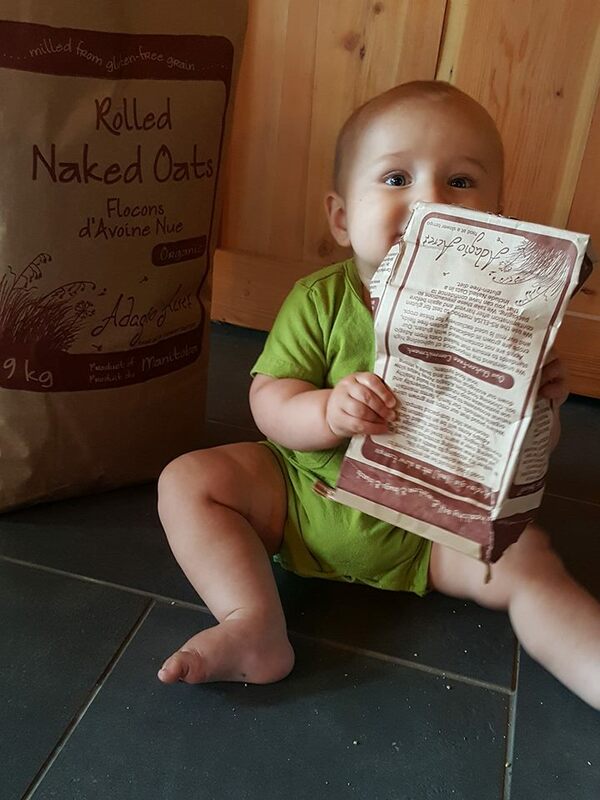 If you’re a real oatmeal enthusiast and you find your little bags of oats are always running on empty (we know the feeling…we take our oats home from the mill in five gallon pails), you might need a 9 kg package of Naked Oats in your life. These can be purchased from a few select retailers (De Luca’s on Portage Ave, Local Meats & Frozen Treats in St. Vital, Stonewall Family Foods, and Soul Foods Conscious Grocer in Saskatoon). You can also contact us for delivery to your Winnipeg doorstep. Rolled, Steel Cut, Quick Cooking, and our Rice Blend are available, $50 for the first bag and $37 for any additional bags purchased. For those further afield, you can meander over to our shop page to order online. Free shipping is included on the purchase of any 5 packages.